We asked for willow balls, sticks, wreaths and other willow creations for our bunnies for he holidays because they LOVE to devour willow. Lucky bunnies, we got lots. I wish I understood why they like it but I’m grateful; bunnies’ teeth grow constantly and they need to chew in order to keep them from growing too long. The other half of this equation is that bunnies need a high fiber diet to ‘keep things moving’. I identify with them in this regard because the increased fiber from vegan living has made my guts happier than they ever have been… even before I developed gluten intolerance. I don’t have pictures of our bunnies in my wallet yet but they’re all over my reddit feed and my phone. I’ve mentioned in other posts that rabbits pair for life; sometimes with a litter mate, other times with a stranger. They don’t discriminate by gender, size, shape or age. 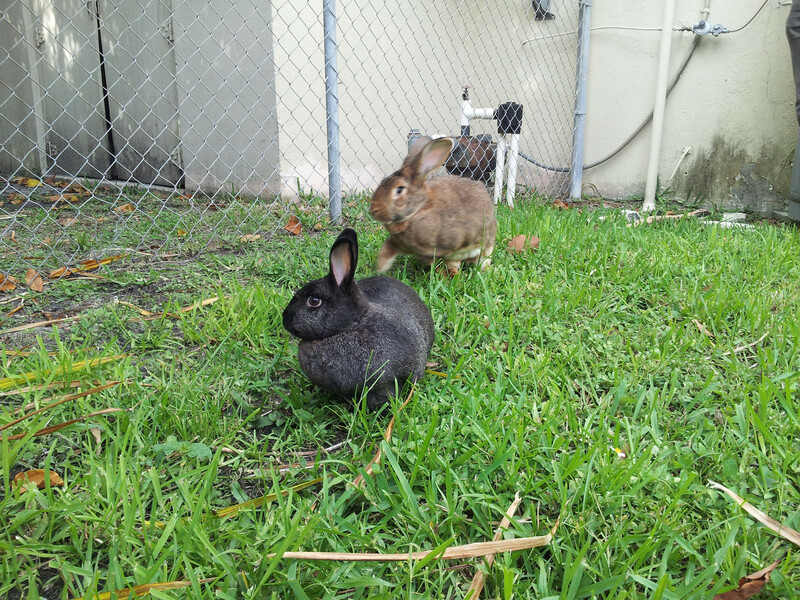 Some rabbits even pair with other species, cats in particular (probably because they have similar grooming and litter box habits which makes mutual respect a little easier.). I wish I was so noble. I make assumptions about people based on gender, clothes, body odor, profession, speech patterns, skin color, etc. every day. I usually manage to stop myself from acting on those assumptions, but there’s always room for improvement. 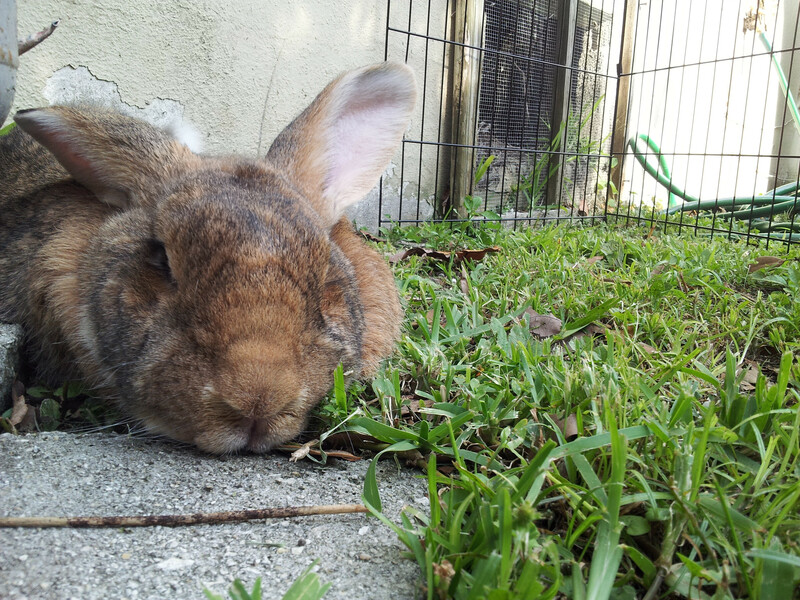 I envy bunnies’ ability to treat all creatures equally a priori. I wish people could appreciate each other and particularly other species the way rabbits do. Ow… I think I hurt my brain. Enjoy the gratuitous bunny cuteness as our bunnies groom each other! Do you know what’s great about adopting a pet instead of buying one? Litter box training! I have no idea how to litter train a rabbit (or a dog or a cat). Fortunately, I don’t have to. There are places where they’ll do it for you and all for the price of spaying/neutering and maybe some vaccinations. Anyways… these two are always up to impossible cuteness.